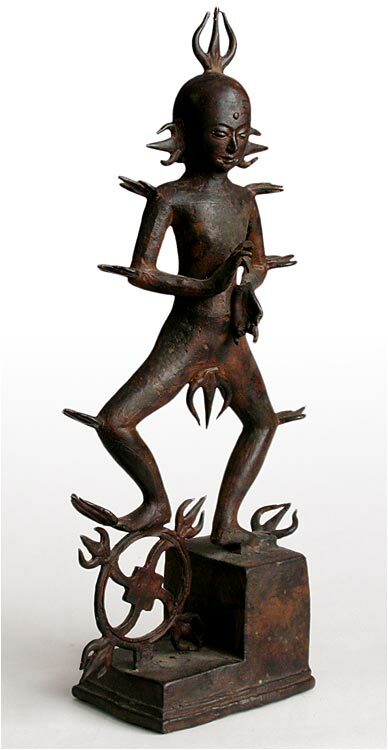 A rare vintage tribal bronze Lord Shiva, in a splendid early representation as Rudra, the God of Fire, the Hindu Vedic divine force of creation and destruction, with terrifying power to rule over various aspects of life, and benevolent characteristic to heal and bestow blessings. 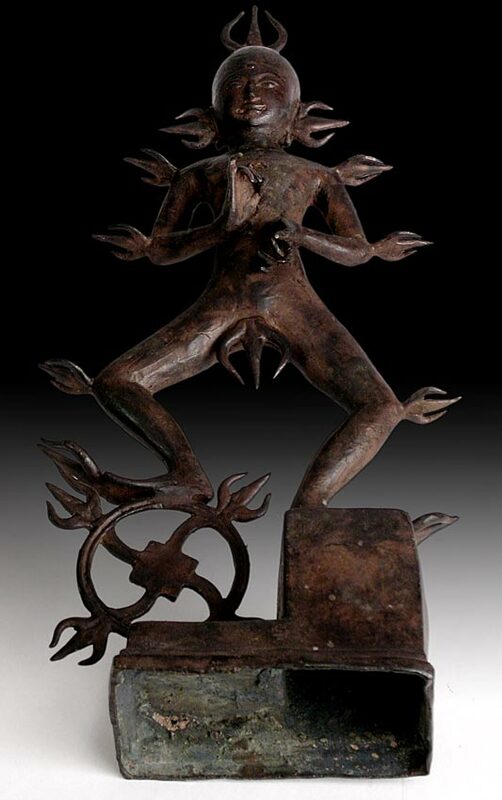 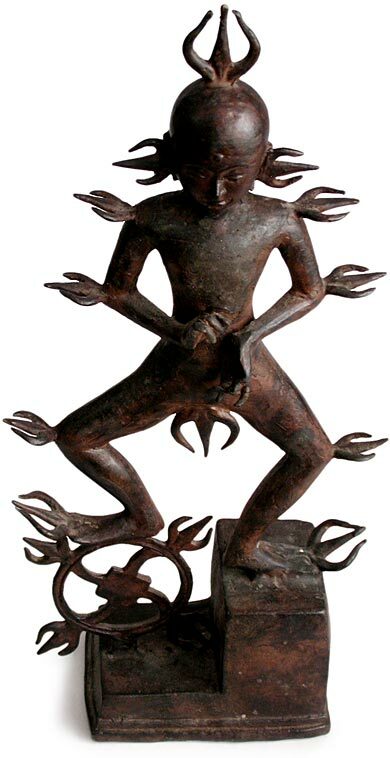 Gracefully shaped in the archetypal form of the primordial generative force, he has a childlike facial feature, with delicately modeled fingers in Dharmacakra mudra (wheel of law); his naked body conveys an aquiline elegance as he is ascending on a two-tier stand, with one foot on a fire wheel, and twelve flames blazing around his youthful figure. 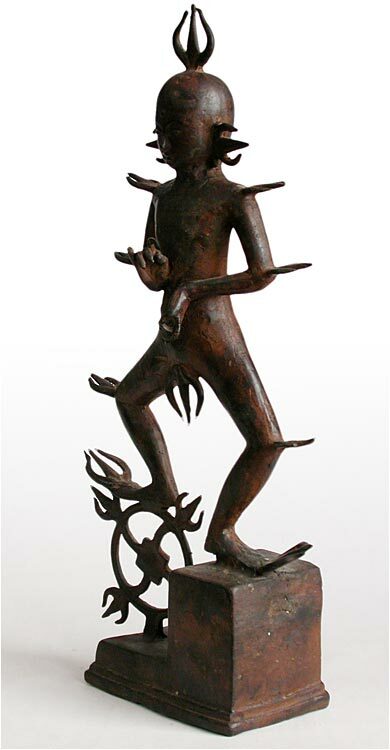 The God is in a contemplative stance, his countenance are potent and powerful, and radiates with an unique rustic beauty exemplary of Hindu tribal aesthetics, and complex syncretism of the oldest deity in Hinduism.